Fred and Barney have picked out the same costume for the Water Buffaloes’ annual masquerade ball. Fred selects a new costume, determined to keep this one a secret. 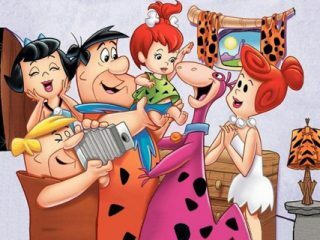 Inconveniently for Fred, his new costume, a space suit, debuts on the very night an “invasion of the Way-Outs” is announced in Bedrock, causing instant panic among the populace.